with an overall sense of well-being. All Levels: At least 5 introductory level classes are recommended prior to participating. Options will be provided to suit all student’s needs. 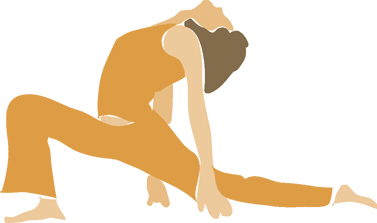 Shadow Yoga is a progressive form of Hatha Yoga blending common preparatory exercises shared between dance, martial arts and nature. Contact Mara J directly for group private options. Aroma Yoga® was created for anyone wishing to enhance their self-care practices by incorporating Aromatherapy, the science and art of using essential oils. The limbic region at the center of the brain is where our emotions and memories are stored. Olfaction (smell) is our most primal sense. 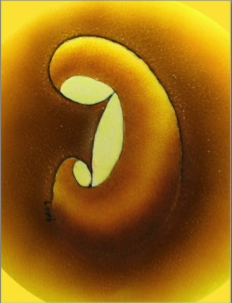 By using inhalation, the oils penetrate the amygdala gland and bypass the cognitive rational mind, shifting unconscious patterns of thought and releasing trauma. Digestion and topical application are also encouraged for cleansing and purifying the system. Pregnancy Yoga: Develop your acceptance of the present and calmly prepare for what is to come. Boost your energy with body movements and positions that lengthen the spine to make room for baby while keeping limbs strong and supple. Pelvic floor exercises are designed to increase your awareness for labor and after baby is born. We recommend yoga after your thirteenth week. Ask your doctor if yoga is appropriate for you. 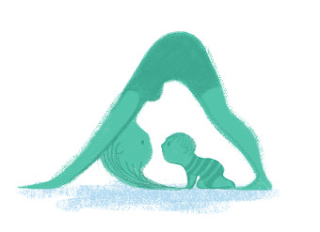 Mom & Baby Yoga: A great way to get out of the house and into a playful and supportive environment. Moms use breathing and yoga postures to restore strength in their centers, revitalize their energy and discover a sense of serenity. Babies interact with mom while experiencing their bodies in space. They can choose to participate, take time to cry, nurse or even sleep. The class is recommended for newborns BEFORE they crawl, and moms who have been cleared by their doctors to begin exercise. Fathers are welcome to take the class as well!